This time, in the run-up to the 2019 general elections, both the government and the Opposition want to turn the debate into a sneak preview of their poll campaigns. Bracing for the debate over the Opposition-sponsored no-confidence motion in Lok Sabha Friday, the government Thursday deferred introduction of the Bill to change the Right to Information law in Rajya Sabha after activists and the Opposition questioned the proposed amendments, saying these undermine the independence of information commissions. The Right to Information (Amendment) Bill, 2018, listed for introduction in Rajya Sabha Thursday, was not brought to the House. In the morning, Opposition leaders were said to have conveyed to the government that the Bill should not be introduced. They suggested that it be sent to a select committee for legislative scrutiny. The government did not press for its introduction. The move to amend the RTI Act was also criticised by Congress president Rahul Gandhi who, in a tweet, claimed that the changes would make the law “useless”. RTI activists have said the proposed amendments seek to do away with the parity given to information commissions with the Election Commission in terms of salary, allowances and service conditions. 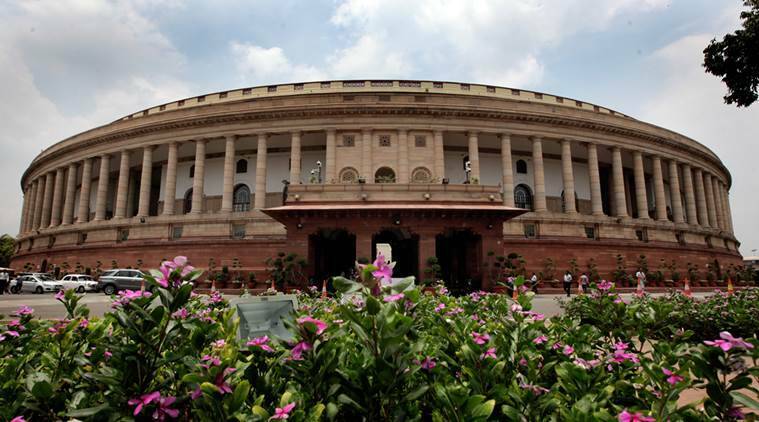 The introduction of the Bill was deferred on the eve of the Lok Sabha debate on the no-confidence motion against the government, the first in 15 years. In July 2008, exactly ten years ago, then Prime Minister Manmohan Singh had sought a trust vote after the withdrawal of Left support to his government. Both sides see an opportunity. The Opposition believes the debate offers a chance to “show the mirror” and “expose” the government. And the ruling party thinks the debate will reveal “all the cards the Opposition has” for the Lok Sabha polls. In both Houses Thursday, discussions centred on measures against corruption. The Rajya Sabha passed amendments to the Prevention of Corruption Act that will make giving bribes to public servants an offence. In Lok Sabha, the Fugitive Economic Offenders Bill was passed. On Friday, Rahul Gandhi will lead the Opposition charge and Prime Minister Narendra Modi will blunt that in his reply to the debate. Home Minister Rajnath Singh is likely to be an intervener during the debate. Sources said the voting, if there is one, is most likely to take place Friday itself — the Prime Minister is to leave Monday on a tour of Uganda, Rwanda and South Africa. 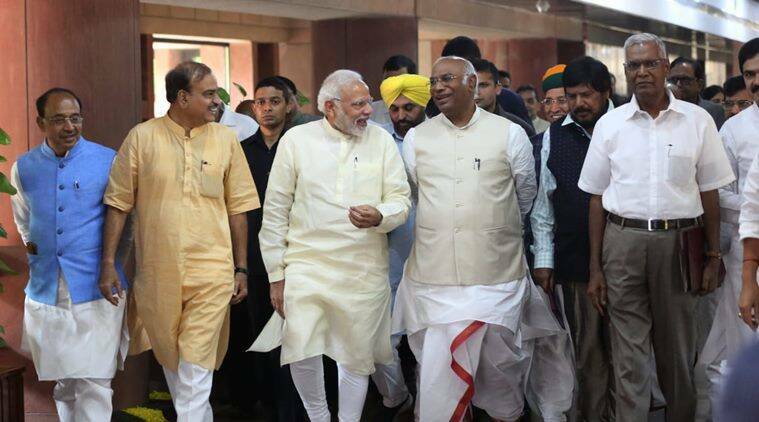 For the BJP, party sources said, the no-confidence motion and its debate is an “opportunity to flag the achievements of the government and to assess the Opposition strategy”. Floor coordinators of both BJP and the Congress have approached fence-sitters like the AIADMK, BJD and TRS for support. BJP sources said while the AIADMK is likely to vote with the government against the motion to be moved by the TDP, the BJD and TRS may abstain from voting if takes place. And to the relief of the BJP, its sulking ally Shiv Sena has decided to support the government. BJP president Amit Shah called up Sena leader Uddhav Thackeray following which a whip was issued for 18 Sena MPs in Lok Sabha. 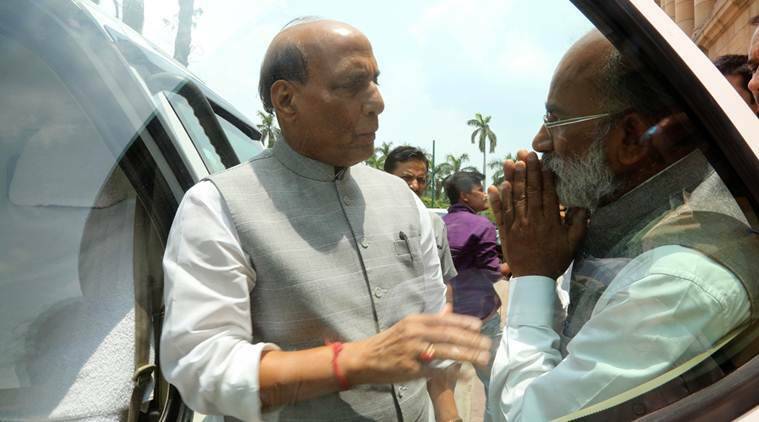 To avoid confusion and overlapping in Opposition ranks, Mallikarjun Kharge of Congress has reached out to SP, TMC and Left parties for coordination. From the Congress benches, besides Rahul Gandhi, others likely to participate in the debate are Kharge, Jyotiraditya Scindia and, time permitting, K C Venugopal. Asked about Congress leader Sonia Gandhi’s claim that the Opposition had the numbers to back its motion, Parliamentary Affairs Minister Ananth Kumar took a swipe at her: “Sonia Gandhi’s maths is weak.” He recalled that in 1999, she claimed to have had the support of 272 MPs, the majority mark in Lok Sabha, after the fall of the Atal Bihari Vajpayee-led NDA government.